Take the bikeway along the Cape Cod Canal for fantastic views of boats, the shoreline, and the area’s quaint homes and natural beauty. As cars are barred from the path, it’s an ideal trail to bring children for a family bike ride or picnic. On a rainy day, head over to Ryan’s Amusements, where the whole family can enjoy candlepin bowling. 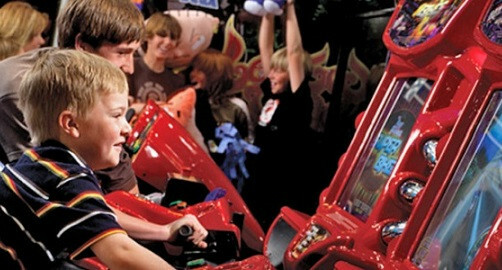 There’s also a game room with 35 games, ranging from modern video games like Terminator: Salvation, to vintage arcade fun like Skeeball and Down A Clown. A perfect place for nature-lovers, Bourne is home to Butterflies of Cape Cod, a habitat where visitors can see native butterflies flutter from flower to flower in a stunning outside pavilion. Outdoorsmen will also appreciate the scenic hiking trails maintained by the Bourne Conservation Trust. Head over to the National Marine Life Center for the chance to learn about local marine wildlife and what can be done to protect and rehabilitate stranded seals and sea turtles. Initially settled by the Pilgrims, Bourne is an early American history buff’s dream. The Bourne Historical Society operates several sites in town, including the Aptucxet Trading Post Museum and Old Bourne Village. These sites offer a look into the lives of Cape Cod’s early settlers, with guided tours, demonstrations in the blacksmith’s forge, and souvenirs in the gift shop. Tradition is strong in Bourne’s artisanal shops. Pairpoint Glass Works allows visitors to watch seasoned glass blowers continue the 200-year-old tradition of glassmaking. They can see traditional techniques and tools used to create beautiful glass pieces with timeless designs. On the culinary end, Somerset Creamery has been using the same recipe for delicious ice cream since its founding eighty years ago. The handmade ice cream is incomparable, whether eaten in fresh-baked waffle cones, sundaes, floats, banana splits, or a hand packed pint to bring home. Bourne is both the oldest and youngest town on the Cape; it was once part of Sandwich, which was settled by the Pilgrims in the 1620s, but was incorporated as its own town in 1884. The Aptucxet Trading Post is the United States’ oldest store. 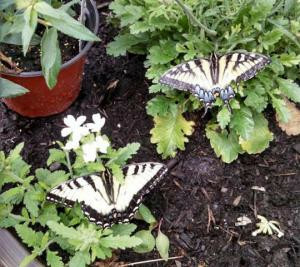 -Photos courtesy of Ryan's Amusements and Butterflies on Cape Cod's Facebook.